You know how long I've been trying, trying so hard, to like tea. I finally figured out why that leafy water taste was so unappealing: I had to kick the Diet Coke habit first. Two weeks of no soft drinks, and tea suddenly developed flavor and body. Who knew? 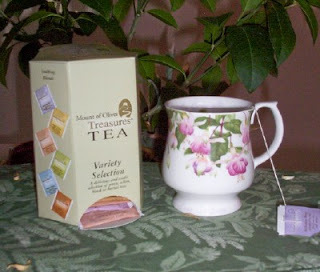 I found this Mount of Olives Treasures tea assortment for $2 at Big Lots. So far my favorites are Bethlehem Berry and Cinnamon Green Chai. Made in Israel, each tea bag also contains biblical herbs like hyssop. Not why I bought it, but a fun bit of trivia. I've tried for many years to like tea, but I just don't like it. lol! My husband on the other hand drinks tea every night. Glad you were able to get over the tea dislike. Maybe there's hope for me yet? I've been cutting back on my coffee intake and drinking herbal tea in the afternoon.Bigelow "Constant Comment" has been satisfactory. Hi! 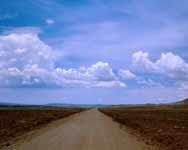 My name is Rachel, and I just discovered your blog when you commented on Crystal's blog. Anyway, I've been enjoying reading your blog and thought I would comment on this post since I am a tea drinker. After working at a tea room for several years (before I was married), I developed a love for black teas. Have you tried Earl Gray? My favorites are Chai and Earl Gray. Try them hot with a little sugar and milk. Raspberry zinger is really good too. As a tea drinker I have several kinds and people give me tea bags for presents. Too bad we don't live closer, I would pop over with my box of tea and we could have a tea party! My favorite morning tea is Earl Gray and my favorite evening tea is Chi tea, but I have several different types for all sorts of days in-between.